The window of opportunity for new liquefied natural gas (LNG) suppliers in the U.S. is beginning to close, and it is not because of slow permitting from the government. The enormous difference in pricing between natural gas in North America and Asia is starting to shrink as new supplies come online and Japan considers restarting some of its nuclear reactors. To be sure, there is still a yawning gap between what natural gas sells for in the U.S. and what Japan or South Korea pay for delivery. 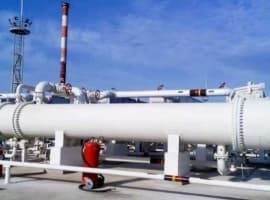 Henry Hub prices – a key benchmark price for natural gas in the U.S. – have hovered between $4.50 and $4.70 per million btu (MMBtu) for much of the spring, whereas Asian purchasers easily pay three times that rate for LNG deliveries. But the window has narrowed a bit recently as new supplies of LNG have come online. ExxonMobil began liquefying natural gas at its new terminal in Papua New Guinea in May. By the end of the year, BG group will have started up LNG operations at a new facility in Australia. 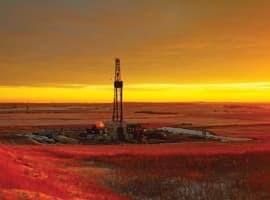 And 2015 has even more in store – several more projects in Australia are slated to begin shipping LNG, and Cheniere Energy is planning to begin sending LNG from the U.S. by the end of next year. In the coming years Russia, Mozambique, Qatar, Australia, and the U.S. all have plans at building new export capacity. All the new facilities are expected to add 18 million metric tons to the LNG trade in 2015 – equivalent to 7.5 percent of global supply. 2016 will see another 7.7 percent expansion, with 20 million metric tons projected to come online. By 2018, the global LNG trade is expected to reach 397 million metric tons, or about 25 to 30 percent larger than today’s capacity. The new supplies are also running into a market facing uncertain demand. Japan is considering restarting two nuclear reactors shuttered after the Fukushima crisis, which will lower demand for imported energy such as LNG. The return to nuclear power, albeit on a slower timeline than previously expected, will drag down the price that LNG sells for in East Asia. 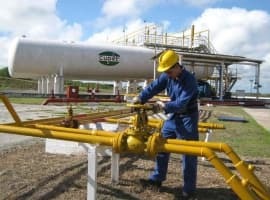 Bloomberg News surveyed a group of traders and energy analysts and the results indicate that Asian LNG prices could only reach $18/MMBtu next winter, the time of year when prices typically spike for winter heating. That would be 9 percent lower than the $19.70 that LNG sold for in Asia this past February. Demand over the longer term is expected to remain robust, but there is also uncertainty. Japan has long been the world’s largest importer of LNG, but future growth is expected to come from China. The news that China and Russia signed a huge natural gas deal in May could cut into future demand for LNG. Taken together – greater LNG supplies and uncertain demand – will mean lower prices for LNG in Asia than what has been witnessed over the last three years. In fact, the enormous gulf between North American and Asian prices could be a temporary blip due to supply constraints after Fukushima coupled with a glut of gas in the United States. Before the nuclear meltdown, Japan could purchase LNG for $7.64/MMBtu. LNG in Asia sold for $11.95/MMBtu in June 2014, and spots prices have averaged $16.18 for the year to date. And in the U.S., natural gas prices in U.S. have jumped from their 2012 lows and over the longer-term could remain in the $5 to $6/MMBtu range. After factoring in the cost of liquefaction, transportation, regasification, and distribution – which can cost more than $4/MMBtu – it becomes clear that the window of opportunity could be closing if costs are rising and prices are falling. There is a temporary window for LNG exporters from the U.S. to get in while they can. The first movers will likely see their investments pay off, but latecomers may not be so lucky. 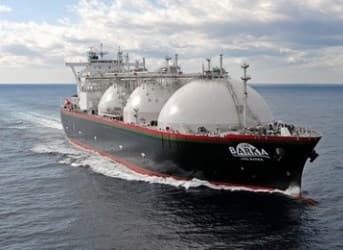 If prices for LNG cargoes in Asia come down even further, many of the liquefaction terminals planned for the U.S. Gulf or West Coast may have to be shelved.